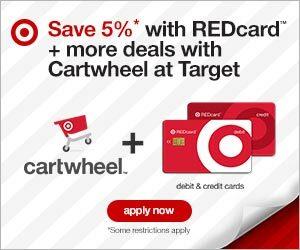 Target REDcard gives you more including 5% off today and every day, free 2-day shipping at the Target website, and 30 days on returns. They are even running a special promotion where you can get $25 off a future qualifying purchase of $100 or more when you're approved for a REDcard. This promotion runs through March 16. Apply to receive yours by following the link.